Item: CVA 810-50 - 1/9 W. Cordova St. Item: CVA 810-46 - 103/109 W. Cordova St. Item: CVA 810-47 - 15/27 W. Hastings St. Item: CVA 810-58 - 16/22 Water St. The records were donated, on behalf of Diana E. Thomson, wife of Mercantile Mortgage Company Limited Director, M. Gerald Thomson, by their daughter Nora Greig. 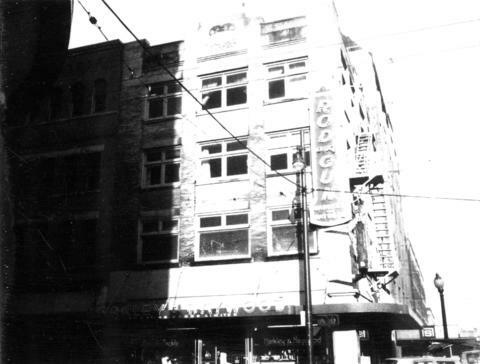 Photograph shows 101 West Cordova Street from across Cordova Street. Business shown is Harkley and Haywood Sporting Goods Ltd. Photograph formerly located at 579-F-02 fld 14.